Tell me if you’ve been here… You start a blog for your business website, things are going well, you get busy, and then you seem to run out of ideas, out of time, or out of both. What happened?! How do you keep it going? Creativity comes and goes in cycles. If you haven’t hit a writing slump yet, you will. It’s important to be patient with yourself without giving up. It’s less likely you’ve used up all your good ideas, and more likely that you’ve become overwhelmed by other work or life priorities. Try giving yourself space to write. 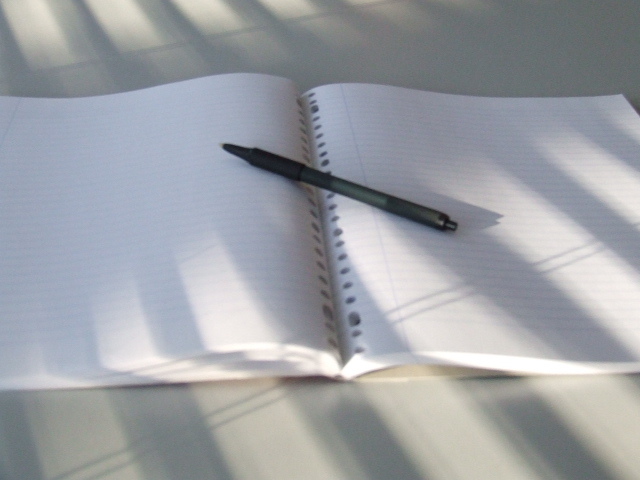 If you have ideas while you’re going through your day, take a moment to jot down the topic or a few phrases. I use the Notes App on my phone for this purpose all the time. Later, I block out time to go back to my notes and build on my initial idea. IT’S KINDA LOUD IN HERE, IS THIS WHERE YOU’RE TRYING TO WRITE? ..WHAT? SORRY, I CAN’T HEAR YOU OVER ALL this noise. Thanks, that’s much better. So, where was I? Finding focus. When it’s time to write make sure it’s in an environment that’s going to work for you—whether that’s at home, your corner coffee shop, or somewhere else—make sure you have the solitude or subtle bustling energy you need to do your best creative work. Unless you’re writing a review for Yelp or Pitchfork, a noisy bar or club probably isn’t going to work. Remember, whatever it is, you get better at it the more you practice, writing and creativity included. So keep plugging away. I remember when I started submitting catchy content to a popular viral media site (let’s just call it FuzzWeed) as a community contributor several years ago. It seemed really hard at first, but soon my content was regularly getting promoted to the front page. I even started to notice my wit and snark sharpening in conversation. I’d never thought of myself as all that funny—until I started practicing. One of my favorite things to do to spark my creativity is to start reading. Look at other business and trade blogs, look at personal blogs. What kinds of ideas are they coming up with? Would your audience be interested in that topic? Are these blog posts missing something important? Caution: You don’t want to steal someone else’s idea—but you may discover a unique way to frame that idea for your own audience. You might even look back through your existing entries for ideas. Maybe there’s an sharable update on a project or product you previously wrote about. If you have industry specific posts, check to see if there are new business or tech innovations that affect your old blog posts. You might be able to revisit an old post because its information is now out of date. Speaking of reading other blogs, you might even find another blogger’s post that would be perfect to share with your audience. No—don’t just stick that on your blog—again, stealing. Instead, write a teaser description of that particular post and link to it. Or, write a review/recommendation of the whole blog—if it would be an especially helpful blog for your audience. Bonus result: you’ve just opened up a mutually beneficial friendship with another blogger. And don’t feel like you’re turning people away by directing them to someone else’s work. You’re demonstrating your curatorial skills, likely making people come to you for more recommendations. I really didn’t mean for this to turn into a wedding-themed blog post with the subheadings, but I guess it has. It just goes to show, you never know where your inspiration will lead you. And speaking of blue: If you do find yourself blue and down in the dumps over your own creativity or lack thereof, revisit these suggestions. They’re just as evergreen as the blue spruce in your back yard. You can also boost your confidence by reviewing past successes from your own creative portfolio. Feel good about what you’ve already accomplished and bring that confidence to your next project. You did it before and you can do it again. Happy creating.